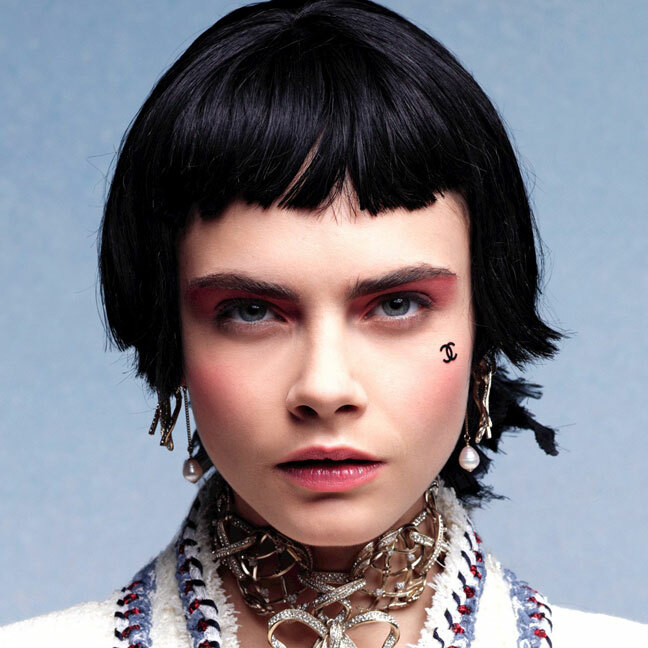 Chanel will be selling double-c Chanel logo, velvet face stickers as part of the Chanel Cruise 2012/13 cosmetics collection. For the show, Peter Philips hand-painted on the double-Cs but they will be produced as velvet stickers for the launch. will you be sporting the velvet sticker logo? maybe an x tattooed under my eye.